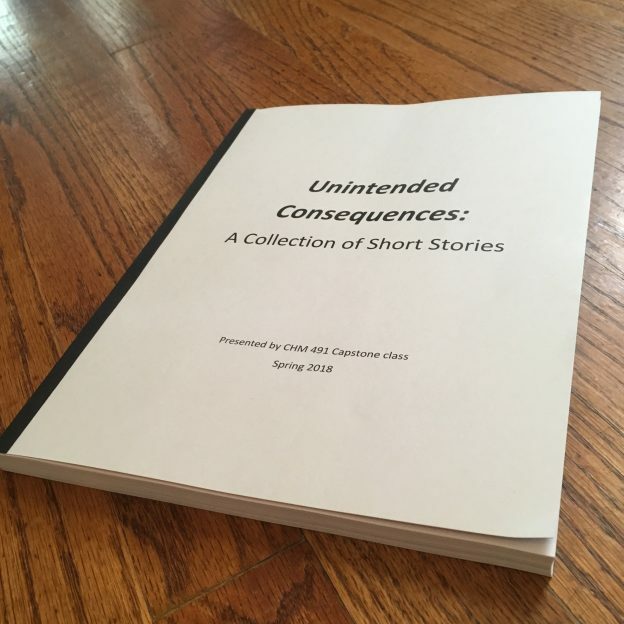 This entry was posted in Uncategorized and tagged capstone, chemistry, collaboration, creative thinking, creativity, cross-disciplinary, fiction, Heeyoung Tai, Justin Chandler, Luis Pradanos-Garcia (Iñaki) on May 17, 2018 by wagnerc6. 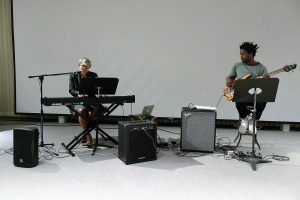 On Nov. 15, the Creative Writing Program at Miami University hosted Two Poets and A Bassist, featuring Janice Lowe, Yohann Potico, and Tyehimba Jess. This performance follows the previous day’s panel, Collaborating Across the Arts: A Discussion. Professor Keith Tuma kicked off the event recalling his time with Lowe’s Leaving CLE: Poems of Nomadic Dispersal, which was published this year by the Miami University Press. This entry was posted in Uncategorized and tagged 2 Poets and a Bassist, Collaborating Across the Arts: A Discussion, collaboration, creativity, department events, Janice Lowe, Tyehimba Jess, Yohann Potico on December 6, 2016 by moorebc2.